This page is a continual work in progress. Please let us know of any questions you think would be helpful to have answered here! Do I need to buy a pass for skiing or snowshoeing? No. Trail maintenance is provided free of charge this winter as we begin to rebuild our winter use program. We encourage you to make a donation if you enjoy the trails during the winter months. Dogs under control are welcome on our trails. Please use reasonable discretion and leash your dogs in sections near populated areas. Are swimming and cliff-jumping permitted? 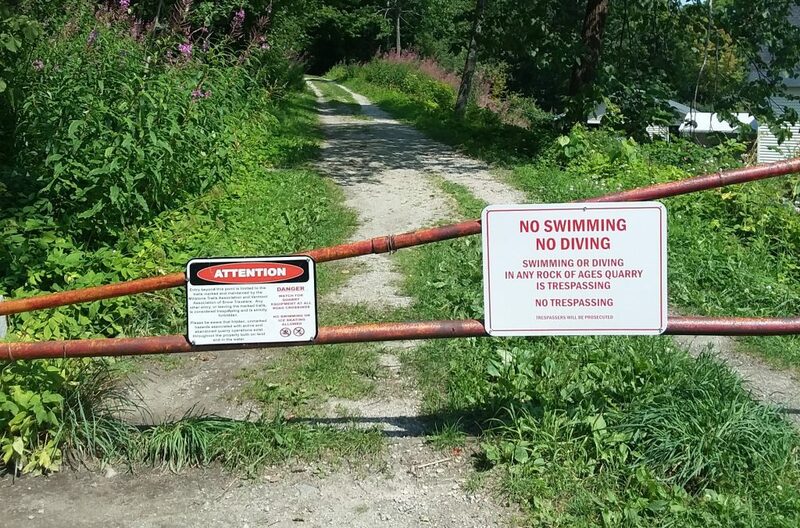 Swimming (and particularly cliff-jumping) is prohibited on the private property of Rock of Ages quarries. We kindly ask all visitors to respect these laws! It’s trespassing, not to mention highly dangerous. This matters to you because use of all of the trails on Rock of Ages property is contingent on ROA deeming it suitable to continue to allow access. Help us keep these trails open and accessible to all by respecting the law while creating a culture of respect for the landowner that allows us all access to these amazing areas! Do I need to buy a day pass for walking, hiking or disc golf? No. Day passes are currently only required for mountain biking. Mountain biking day passes cost $10 and are available online during the mountain biking season. 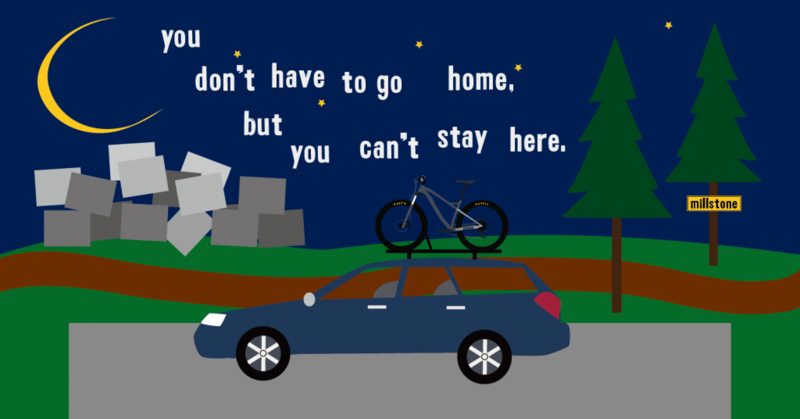 Is camping permitted on the trail system? No, camping and campfires are both prohibited throughout our trail system. If you’d like to camp near the trails, we recommend Lazy Lions Campground. If I am a Member of the Millstone Trails Association, do I need to buy a day pass when I go mountain biking? No. Membership covers mountain bike trail use for the year; no day passes are required if you’re a member. Parking is currently available at the Town Forest parking lots. The first is located at 44 Brook St.; the second is at the end of Barclay Quarry Rd. Do I have to be a Member to park in the parking lots? No. The parking lots are available to anyone using the Barre Town Forest trail system. Why do you charge for mountain biking? Maintaining quality mountain biking and hiking trails requires an enormous amount of behind-the-scenes work. This includes supporting an amazing team of volunteer trail crew members, as well as the acquisition of supplies, materials and tools to keep our trails safe and fun. We interface with the Town of Barre to help maintain a positive and mutually beneficial relationship between the trail users and the municipality. We also attend regional events to promote the Barre Town Forest and organize local events ourselves. Your day pass purchases go entirely toward supporting this infrastructure, and because we are a 501(c)(3) non-profit entity, you can rest assured that any and all money we collect is put to constructive use. If I am a guest at the Lodge or camping at Millstone Hill, do I still need to buy a trail pass for biking? Yes. The Millstone Trails Association is not directly affiliated with these locations.